A string quartet in Copenhagen, Denmark, plays while a planet enters the room above them. It flies in front of them and stops while still spinning. Parts of its surface tear away to reveal three dancers inside the planet. Two dancers enter stage from left and start dancing with the dancers inside the planet whose images are transmitted live from Barcelona, Spain. 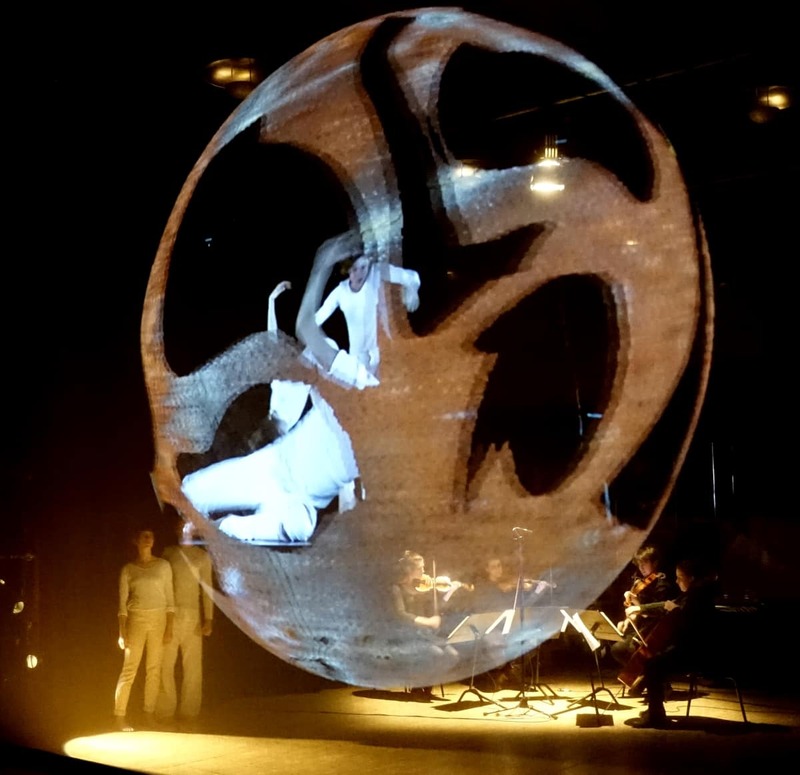 They and the planet are projected onto a transparent screen in front of the musicians. Thus began the performance “Longing for the impossible for the moment it is real.” The show was part of the latest Network Performing Arts Production Workshop, which took place in Copenhagen, April 3-5, 2017. Other acts in the performance involved a singer and a harpist from London, United Kingdom, whose images were also projected onto the screen via a video link. Integrating musicians and dancers from other parts of the world into a show puts great demands on the network infrastructure. A normal video conference system would not be able to transmit video and sound fast enough. Once a delay enters the transmission, the music suffers. The performance took advantage of the LOLA system (Low Latency) for video conferencing. The system does no compressing and decompressing of the video and audio signals in order to avoid introducing delays. The network connections between Copenhagen, London, and Barcelona provided high bandwidth with minimal latency. 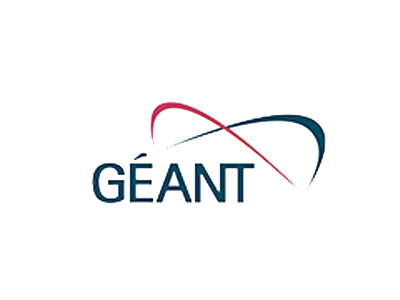 The Danish NREN (National Research and Education Network) DeiC supplied the connection together with its international partners NORDUnet and the GÉANT network. The Network Performing Arts Production Workshops (NPAPWS) are arranged annually by the American Internet2 and the European GÉANT organization. The recent workshop was the first ever held in Denmark. It took place at the Royal Danish Academy of Music and was supported by DeiC. The workshop attracted a record 80 participants from 28 countries. During the workshop they learned about the latest developments within LOLA, Ultragrid, and FPGA-based tools. Demonstrations showed how a music teacher in Copenhagen could coach a student in Vienna, Austria or in New York, USA via low latency video links.